Taking his terrible hills on high. Fearful I'd find him a bit opaque!
" The best you get is an even break. " No one can beat it, and few can tie. Gosh! I feel like a real good cry! There once was a man who said: "Damn! 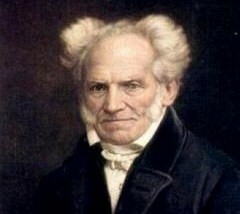 The image which may have led you to these rhymes of philosophy is a portrait of Arthur Schopenhauer. He is the subject of two of the rhymes, but it is not clear why he is particularly attractive to writers of light verse. The rhyme "Theological" is a clerihew, a verse form named for its inventor, Edmund Clerihew Bentley. Bentley himself wrote a clerihew about Plato; see More Biography (1929).